Welcome to the wonderful world of Moulin Rouge. A night not to forget! 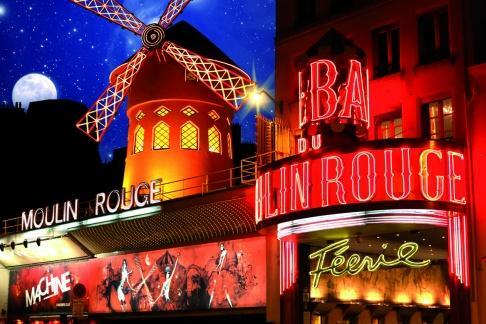 Filled with surprises, entertainment, happiness and emotions… In the idyllic neighbourhood of Montmartre, the Moulin Rouge will offer an unforgettable night! With 900 seating spaces, you will be in good company. The artists such as Edith Piaf, Jean Gabin, Frank Sinatra, Liza Minnelli have performed on this stage. You will be able to have dinner and drink on location.